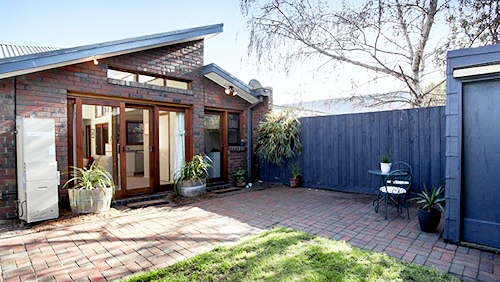 This weekend I attended an auction at 2 Bolton Street, Spotswood – a cute little 90s brick built semi-detached house on a cosy 240sqm – in what is arguably one of Spotswood’s best streets. Spotswood, better known as the home of Scienceworks and the Planetarium, is one of the tightest little suburbs by the water on the western side of the Westgate Bridge. 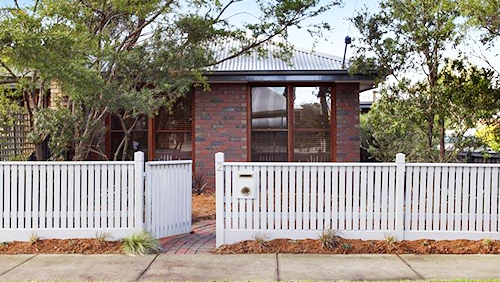 It is home to some understated period homes, and also boasts a quaint village with emerging cafe and dining options, and a train station just six stops from the city on both the Williamstown and Werribee lines. The auctioned property could best be described as a first home buyer’s dream or a downsizer’s haven, but nothing really in between. 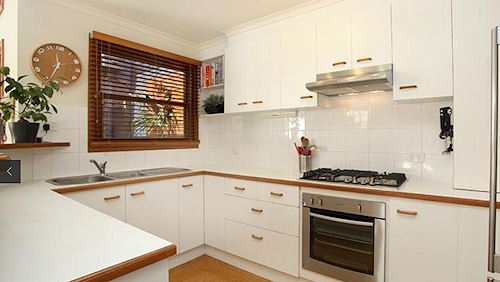 With its 90s external style, timber kitchen touches and plush carpet throughout, it expressed all the hallmarks of a 20-plus year old home, yet offered all the excitement of ‘what could be’ with a clever cosmetic renovation and vision. Aside from the master bedroom, the other two bedrooms were a little too tight to be considered ‘family accommodation,’ and the single open plan carpeted living area begged for newly laid timber flooring and modern fixtures. This property had abundant light streaming in and was so fabulously orientated with an east facing courtyard that there was little surprise it attracted as many bidders as it did. The off-street secure car parking was a complete bonus and in a street lined with stunning period Victorian homes, I did wonder how far over $600K this $520-550K quoted property could fly. Jas Stephens’s Tate Moore was the auctioneer, and after quoting a couple of the exciting local cafes and drinking holes – namely Duchess (which does a fab breakky) and the newly renovated local “Spottiswoode Pub” (easily within staggering distance!) – the auction kicked off with an opening vendor bid of $520,000. In a hearty attempt to get the auction moving, Tate finally instilled a first home buyer with enough nerve to come in at $530,000 and from this point the auction took flight. Two first home buyers fought it out to $660,000 and the buyers advocate (me) stepped in with $665,000 on behalf of my downsizers, knocking out one of the first home buyers. The price tag flew past how high I was able to go for my emotional buyers, and the property became home to two proud and relieved first home buyers. The result was a fabulous achievement for the vendors and an exciting – and groundbreaking – result for the street. 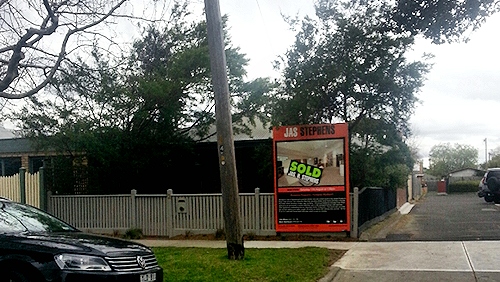 Over the last 13 years, no property has come within ten per cent of this sale in the entire street (you can see other Spotswood sales results on Street News here). How can this be, in a sea of period homes on larger blocks? A sign of the times? A state of our market today? An easier availability of credit? A good auctioneer? A market with a deficit of stock at this moment? Or a case of genuine competition between emotional downsizers and a super-motivated couple facing their first property auction? I think it’s a combination of all of the above.